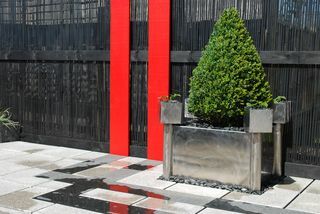 I create bespoke contemporary external spaces with a passion, I also enjoy my vocation and it’s been mentioned on many occasions that my internal fire is reflected within my work. Don’t take my word for it, take a look around my site and see what others have to say. 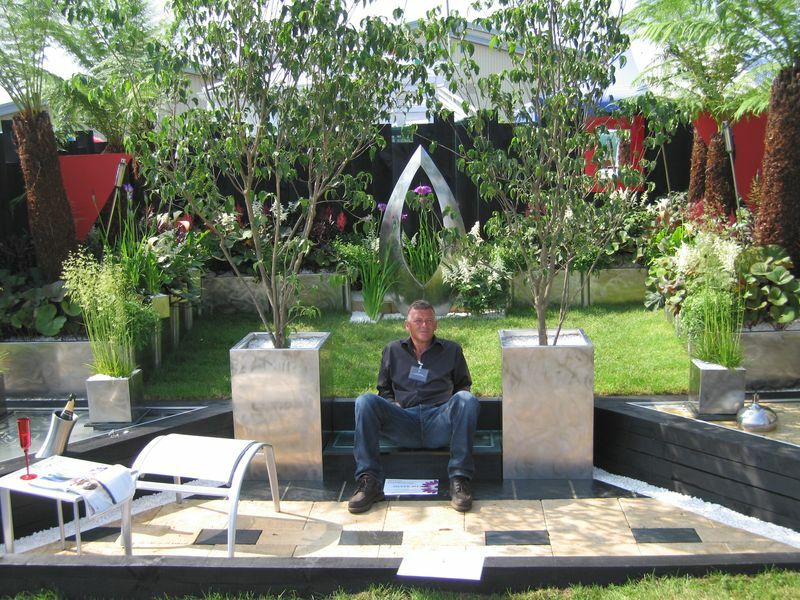 If your seeking a bespoke garden, created for you and crafted around you, then believe me you have clicked on the correct site. 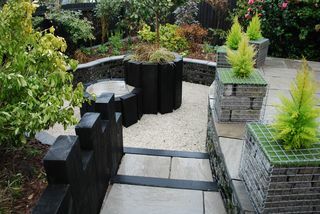 I know that not everyone desires a full garden design so we like to be as flexible as possible. 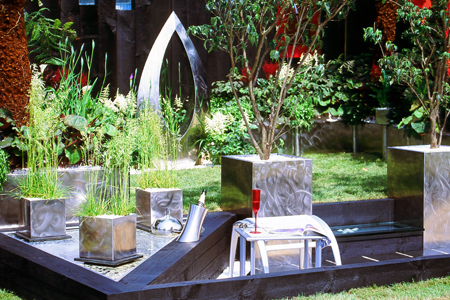 You can either go for a complete design of your garden or we can modify or re-design just a small area or individual feature within the garden. All visits to your property will be calculated from my Newton Abbot, Devon based postcode, TQ12 1TS, using the latest route finder software of which will be issued for verification upon our meeting. The rates of mileage will be £0.75 per mile each way regardless of the distance travelled and at all times subsequently. Full payment of mileage rates will be due upon completion of each visit. A consultation for a garden project up to 100sqm, (10m x 10m), you will expect this to last a minimum of two hours and it is imperative for all parties to be present at the time of the consultation, to discuss your aspirations and seek out the answers to your many questions. The consultation fee is based on a hourly rate of £60.00 per hour, the consultation fee will be rounded up to the nearest half hour at £30.00 per half hour there after, please note this consultation fee does not include the mileage rates. Other expenses, eg printing costs, other travel expenses and comfortable overnight subsidiary with accommodation where required, are charged at cost. Full payment of the consultation fee and mileage rates are payable upon completion of the visit. Our offer of design and/or construction service, together with a full breakdown of fees, will be clearly stated in an easy to understand quotation giving you the peace of mind to understand precisely what we are providing and exactly what you are paying. 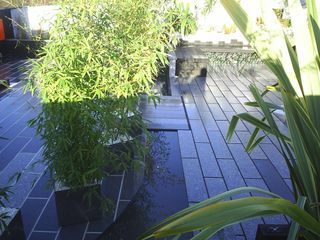 All Jackson’s design and landscape construction is constantly monitored and backed by Marshalls ten year product and five year labour Guarantee. Consultation An initial meeting will be scheduled to discuss your plans and disseminate your brief and explore its potential. Part of this process involves what budget you have available and whether it is sufficient to cover the project in order to do it justice. One common reason a project falls short of a clients expectations and aspirations has been the ambition to carry out too much without sufficient funding. We will advise you honestly on what you can expect to achieve for the money you have to spend. Having listened meticulously to your aspirations and brief and having viewed your proposed project I will be able to give you a design fee, which starts at £650 for projects up to 100 sqm. For gardens above 100 sqm a fee will be issued at your consultation. Please note that the site survey is included within the design fee. We will then supply you with a detailed presentation package with a DVD portfolio consisting of recent, fresh, inspiring works, terms and conditions, design commission and all relevant supporting information, insurances, accolades, as well as an acceptance form for you to sign and return. Concept Plan A 3D Cad concept plan is then submitted approx 4-6 weeks after our initial. The concept will be based on your brief and our subsequent discussions and amended if required. A meeting will be scheduled at our conveniences where samples and materials, colours and textures can be viewed and discussed. Final layout plans Once the concept plan has been agreed we will provide a final layout plan drawn using computer aided design as well as a coloured, full three dimensional elevations so that you can get a feel for how your garden will look. On acceptance of the plan, we will provide a full costing for construction or a project management plan should you require the work to be carried out by another landscaping company. For full planting plans please contact me for my hourly fee. I very much look forward to providing you with a quality service and producing gardens that inspire those that spend time within them.